Twitter is an amazingly powerful social network – it reaches millions upon millions of viewers. Images play a key part of the Twitter environment. With Twitter you can share the artwork you’re working on, let people know about shows you’re in, build up your fan base, and make sales. Best of all, it’s free. Just like this workshop! 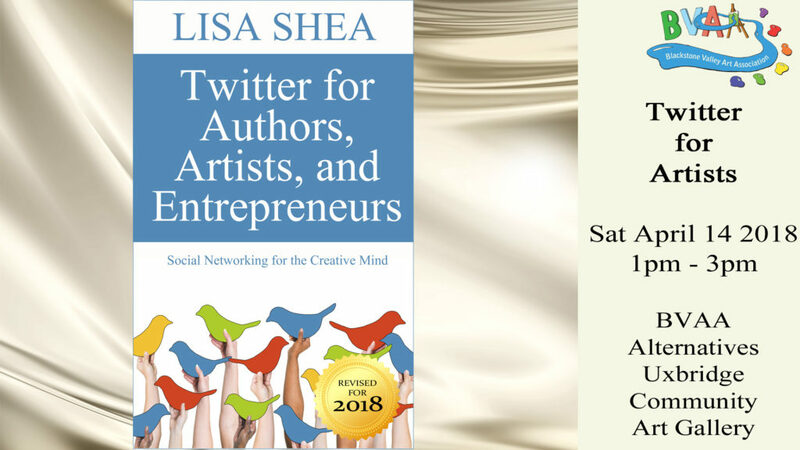 Come on out for a free hands-on exploration of Twitter. All you need is a web-enabled (smartphone) cellphone, tablet, or laptop. We’ll help you set up your account and get started. If you have an account, we’ll show you how to use it to its best ability. You also get a free copy of my book on Instagram for Twitter. Twitter works on smart phones, tablets, and laptops. Bring whichever you’re comfortable with. We have wifi!